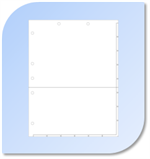 Chart Dividers, Indexes and File Dividers are often needed to organize documents that reside within an End Tab or Top Tab file folder or divide sections sections within a binder. 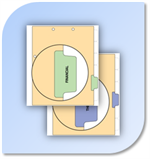 Whether you utilize Bottom Tab Dividers or Side Tab Dividers, indexes allow documents and subject matter to be located and referrenced instantly. 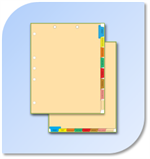 Chart Dividers, Indexes and File Dividers are avaivable with Clear or Colored Tabs. Some are aviailable with no Tabs. The Tabs come with Stock Imprints or may be Custom Imprinted. EachTab is offset (one from the other) to make finding the information much easier and quicker. 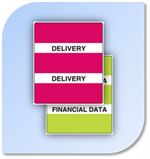 Stock Chart Dividers, Indexes and File Dividers are often offered in sets, such as a 2 tab set or 3 tab set, etc. For best results Dividers and Indexes are available with a mylar strip on the back to prevent tearing out of the folder or binder. These products are also available with a variety of options like, two prong fasteners, Permaclips, Medi-clips and DucoClips. Custom printing might make your Dividers more useful. In addition to the imprinted tabs most of the Dividers and Indexes may be custom imprinted in the body of the divider. Over the years, new products, such as Fileback dividers and Side Hinged dividers have been developed to enhance and improve filing capabilities. 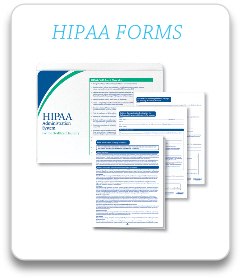 Hinged or Piggy back Dividers and Indexes allows greater access to each section of the file folder. 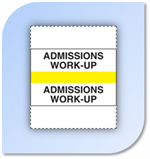 Notes or pages may be added or removed to each section "with-out" the need to remove the previous sections. 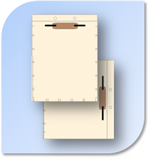 Side Hinged Dividers and Indexes are the latest innovation in filing dividers. Self Adhesive Dividers provide the same number of catagories with one half the amount of dividers. Each side of the divider or Index has its' own fastener attached and has a different title imprinted on each side. 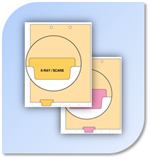 Chart Dividers, Indexes and File Dividers are also avialable in Pocket Style, with Mylar Pockets affixed, Expanding Fileback Pockets and many other options. Dividers and also available as a Do It Yourself product. Simply order the Stock Index Divider and apply the Stock Index and Divider Labels which come in several different titles and colors.